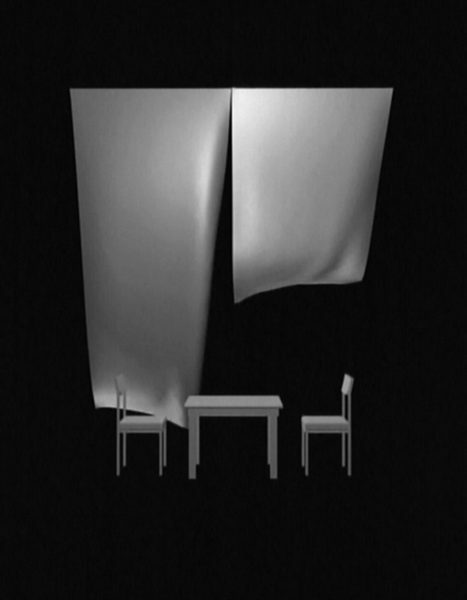 Liminal Objects #8 consists of a table and two-chair set. Now and then a double split curtain bellows in and merges with the furniture. 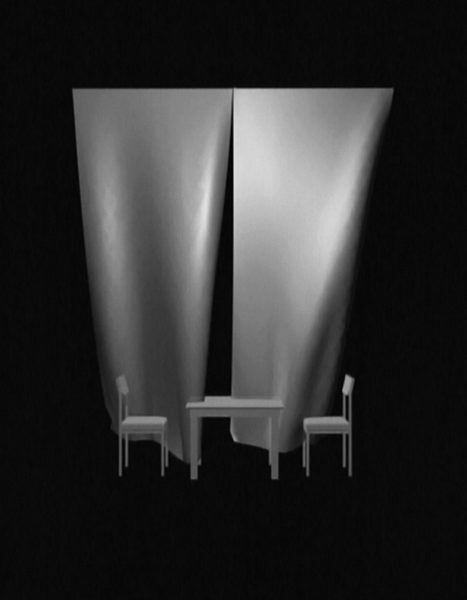 This particular work has an extra layer of “liminality” by the fact that the curtain is slightly transparent. Additionally there is a subtle hint of a light source hitting the surface of the curtain. Gary Hill: Selected Works and catalogue raisonné. Wolfsburg: Kunstmuseum Wolfsburg, 2002, GHCR 112, p. 222. Rowlands, Penelope. 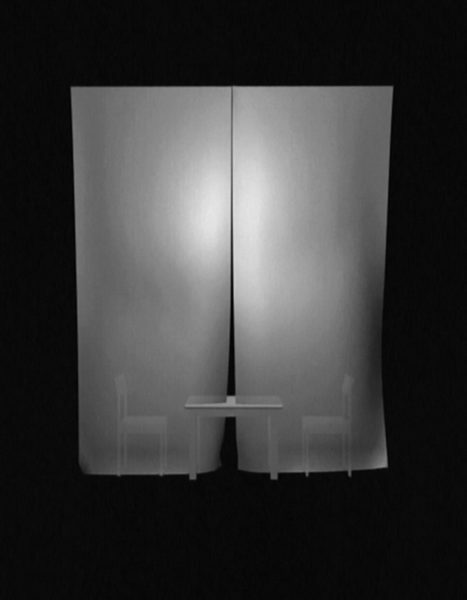 “Gary Hill’s Hall of Mirrors.” ARTnews 100, 5 (May 2001), pp. 178, 179. Gary Hill: Selected Works and catalogue raisonné. Wolfsburg: Kunstmuseum Wolfsburg, 2002, pp. 24 – 26, 222. Zutter, Jörg, ed. 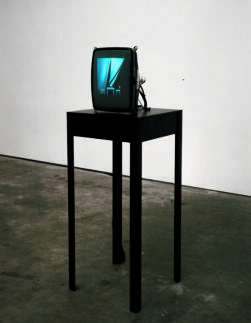 Gary Hill / Bruce Nauman: International New Media Art. Sydney: National Gallery of Australia, 2002, pp. 12, 24, 25, 26 – 27, 33 (photo). (Includes George Quasha’s essay: “Gary Hill’s Art of the Threshold.”) Note: Jörg Zutter’s essay “Gary Hill / Bruce Nauman: International New Media Art” reprinted in: artonview No. 32 (Summer 2002 – 2003), pp. 6 – 11.